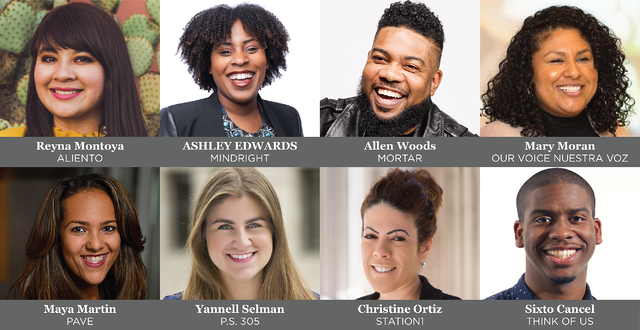 We are excited to announce that New Profit’s Proximity Accelerator has made one-year unrestricted grants of $50,000 to eight new breakthrough organizations led by visionary social entrepreneurs of color: Aliento, MindRight, MORTAR, Our Voice Nuestra Voz, PAVE, P.S. 305, Station1 and Think of Us. This is the second Proximity cohort that New Profit has invested in after launching the program in 2016 to address the severe lack of diversity in leadership in the nonprofit sector. Increasing the number of social entrepreneurs and social sector leaders who come from and look like the communities they serve will strengthen our sector's impact. We believe that breakthrough change happens when we invest in leaders with the deepest experiences in the communities we aim to serve who leverage the power of proximity in creating solutions that are responsive to and reflective of the communities they are designed for. Proximity’s new grantee-partner organizations were selected from a competitive pool of applicants based on the leaders’ deep insights into the problems they aim to solve, innovative solutions for addressing these problems, track-record of success, potential for growth, alignment with New Profit’s support model, and a vision for systemic change. Like all breakthrough leaders and organizations supported by New Profit, this group will receive unrestricted grants and strategic advice to help them build the capacity of their organizations, collaborate with each other, and take aim at changing the larger systems in which they operate. In addition, the cohort will form a peer learning community that will provide an opportunity for social entrepreneurs to connect, receive and give advice, and participate in an in-person convening structured around tackling key leadership and organizational challenges they face in order to deepen their impact and scale their models. 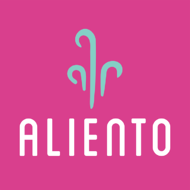 Aliento envisions youth and children having access to transformative experiences where they are co-creating spaces of healing and are trained to become agents of change in their communities. Their hope is to reshape the image of who immigrants are and shine light on the unheard voices of our society. They imagine a world where healing and reconciliation is the norm, a world where everyone's humanity is at the core and is the driving force, where we seek collective problem-solving when harm is done. MindRight is a nonprofit providing on-demand socio-emotional coaching to teens. Their coaches work in teams to support students that are dealing with stress and trauma. Their system is designed to help youth manage the emotional tolls life has for all of us. Unlike crisis response, they reach out to teens proactively everyday to help prevent crisis, and they stick with youth during and after crisis. MORTAR's mission is to enable underserved entrepreneurs and businesses to succeed, creating opportunities to build communities through entrepreneurship. MORTAR is a resource hub for urban entrepreneurs across Cincinnati that invests in the people and solutions that will change the city. They encourage entrepreneurs to use their imagines and creativity to not simply earn money, but to also make a difference in their communities. 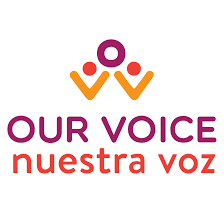 Our Voice Nuestra Voz (OVNV) organizes parents to increase educational outcomes and equity for students in New Orleans and Louisiana. From working car lines to conducting parent one-on-one meetings, they set out to build authentic relationships in communities, learn about the obstacles they face, and devise solutions to provide a better education for all students. At OVNV, they do not set an agenda that parents adopt. Instead, their Parent Leaders set their own agenda for their communities, students, and schools. PAVE connects, informs, and empowers parent leaders to give families in D.C. a voice and a choice in the vision for education in their city. Founded in April 2016 with an all-parent governing board, PAVE is dedicated to creating an environment where the vision for education in D.C. is created with children and families, not for them. They aim to shift the dynamic so that communities and parents are partners in creating great schools. P.S. 305 is an organization that strives to be the driving force for education excellence and equity in Miami-Dade. Their goal is for students, parents, teachers, and community members to be informed, active, and empowered to improve their schools and communities. This diverse group of stakeholders accomplishes this primarily through grassroots advocacy around local issues and best-practice policies. Station1 is a nonprofit that is paving a pathway of opportunity through frontier learning and research at the intersection of science, technology, and humanity. Drawing upon historical foundations, decades of experience and conversations with thousands of students of students, emergent technologies, and discussions with over 300 higher education programs, initiatives, and innovators worldwide, Station1 is addressing these key issues through a new model of higher education which integrates three foundational principles - inquiry, impact, and inclusion. Think of Us' ultimate goal is for foster youth to successfully transition into a prosperous adulthood. They see this process as a communal endeavor that connects employment, education, and abilities. They envision a future where communities are designed to maximize the development and wellness of maturing youth, so that they can transition into healthy, stable, and thriving adults. Their work to-date has taught them that it is possible to develop a collective impact, not only providing the tools, but also streamlining the systems that help young people utilize the resources at their disposal.